The original question was: If we accept Moses as the author of Genesis then his use of the past tense to describe events such as creation, the fall and the flood, but his use of the present tense to describe the 4 rivers coming out of Eden in Genesis 2, must mean that the Garden of Eden was still there when Moses authored the document around 34/35 hundred years ago. Therefore does this means the locality of Eden was not destroyed during Noah’s flood, and should still be findable today? We would like to thank the many readers editors and advisor specialists who have critiqued this article over the past 5 months and specially the British author Dr. Bill Cooper for his reviews and for his inspiring 2011 publication; ‘The Authenticity of Genesis’ released in 2011 and available though Creation Science Movement in UK. Because this question deals with the relationship of the author Moses to the text of Genesis as shown in English translations, I have listed below two English translations of Genesis 2:10-15 done 400 years apart for comparison. The King James (KJV) and the modern English Standard Version (ESV) as well as New King James Version (NKJV) are used in the body of the answer. We have used bold type for words of key interest: went, is, flowed, flows, goeth and put. KJV Genesis 2:10-15: And a river went out of Eden to water the garden; and from thence it was parted, and became into four heads. 11 The name of the first is Pison: that is it which compasseth the whole land of Havilah, where there is gold; 12 And the gold of that land is good: there is bdellium and the onyx stone. 13 And the name of the second river is Gihon: the same is it that compasseth the whole land of Ethiopia. 14 And the name of the third river is Hiddekel: that is it which goeth toward the east of Assyria. And the fourth river is Euphrates. 15 And the Lord God took the man, and put him into the garden of Eden to dress it and to keep it. ESV Genesis 2:10-15: A river flowed out of Eden to water the garden, and there it divided and became four rivers. 11 The name of the first is the Pishon. It is the one that flowed around the whole land of Havilah, where there is gold. 12 And the gold of that land is good; bdellium and onyx stone are there. 13 The name of the second river is the Gihon. It is the one that flowed around the whole land of Cush. 14 And the name of the third river is the Tigris (old name Hiddekel) , which flows east of Assyria. And the fourth river is the Euphrates. 15 The Lord God took the man and put him in the garden of Eden to work it and keep it. In addition, as this is a sometimes technical question involving issues about that ‘never’-popular subject of grammar shown in English translations, as well as locations virtually unknown to many in the west, I have subdivided the answer as shown below. As so much is involved in this question, the length of the answer and the limits of this question and answer site mean we must post the full answer as a PDF article here. 1. WHAT IS THE BASIS OF THIS QUESTION? 2. WHAT IS MY AIM? 4. 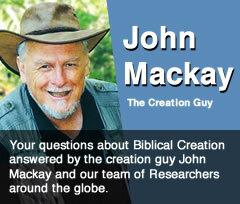 HOW DO WE KNOW MOSES AUTHORED GENESIS? 5. WHO OR WHAT WOULD HAVE BEEN INFORMATION SOURCES FOR GENESIS? a. What no man could have recorded based on observation alone. d. What could Moses have written? e. How is Genesis constructed? 6. OCCAM’S RAZOR SOLUTION RE: EDEN’S LOCATION? For complete answer click here to download PDF.